This was a shot we had to produce which involved a jug of Bayer Bronate Herbicide shaking off mud like a dog shakes off water. It was actually quite complex for many reasons. First of all, the RealFlow (which was used for the fluid dynamics) derives it’s motion blur based on vertex velocity whereas VRay calculates its motion blur based on vertex position. When both were rendered together, the motion blur did not match and the jug intersected the mud, among numerous other problems. This produced renders in which the mud flickered on and off. In the end, we were forced to use image motion blur and lots of mattes which made the final composite quite complicated. Depth of field was later added in post as well as more mud elements on the floor as well as considerable color correction. 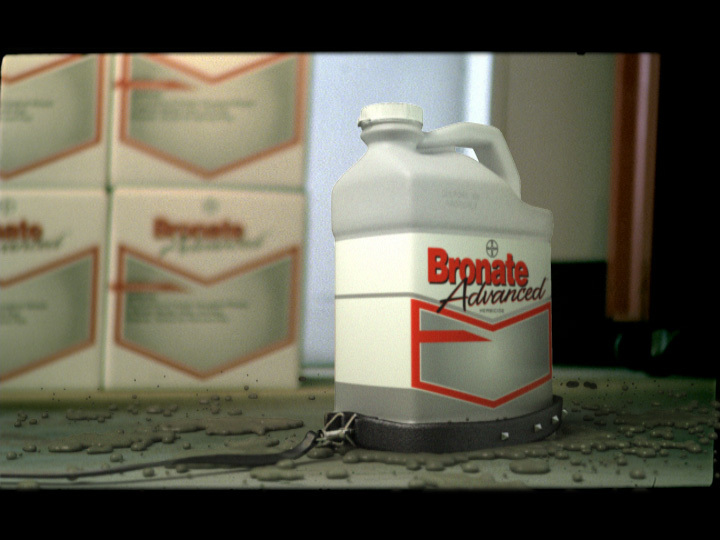 This spot was modeled and animated with 3D Studio MAX, rendered with VRay 1.09 using traditional lighting techniques, global illumination and image-based lighting, and composited with After Effects. Modeled and rigged by Ben Pilgrim, animated by Kyle Dunlevy. Fluid dynamics by Mike Oliver. 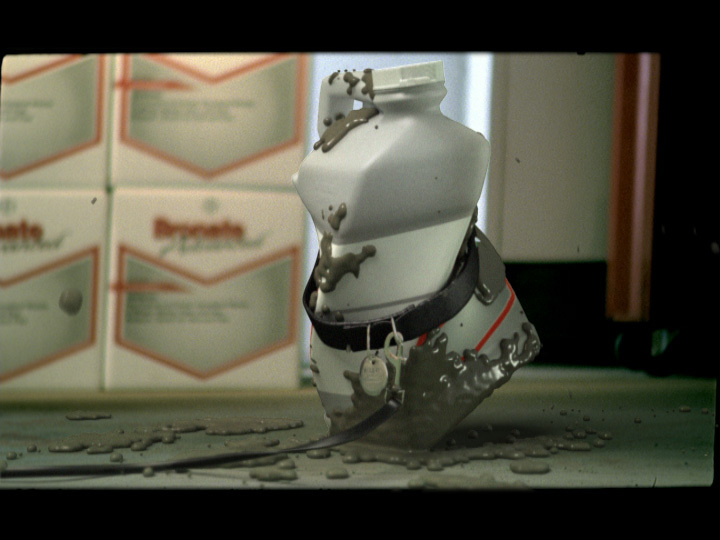 Lighting, texturing, rendering and compositing by Richard Rosenman.